“Then followed the most bitter experience in the life of Charles Dickens. He was sent to work at a blacking factory in a street near Charing Cross eading from the Strand to the Thames. The work was menial in the extreme and the pay was only a few shillings a week, but exercising strict economy he made his wages support himself. The blacking factory was a crazy, tumble-down old house, overrun with rats. 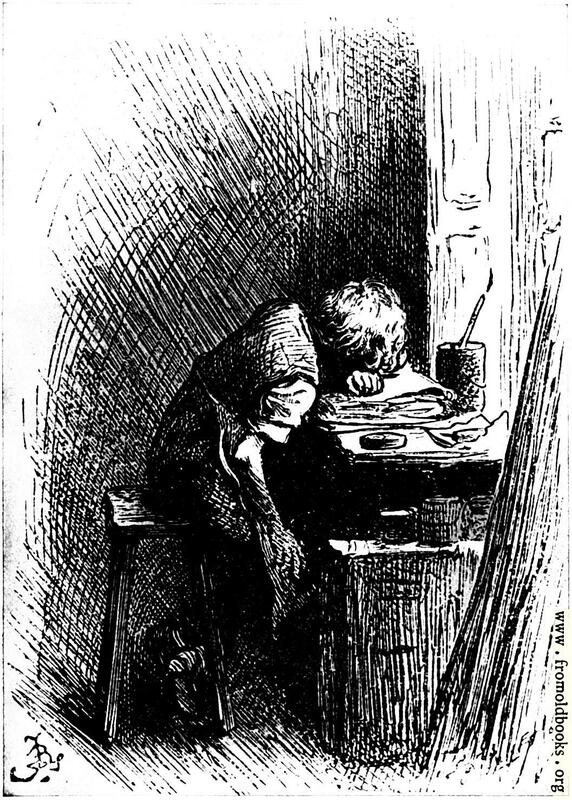 In later life Dickens recalled with painful emotion its wainscoted rooms, with its rotten floors and staircase, and the old grey rats swarming down in the cellars and the sound of their squeaking and scuffling coming up the stairs at all times. The poor boy was very sensible of the humiliation of his work—the typing up and labelling of innumerable pots of paste-blacking—and for the remainder of his life he never recalled the episode without a pang.